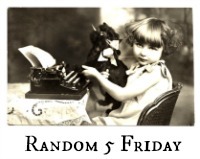 what we share is "5 random facts about you, your day, your pets, your kids, whatever!" I watch American Idol. Yes, I admit this. I really enjoyed last weeks performance by Adam. Since Truckin' Man is working limited hours this winter, he is going to get the gardening going early, and start some veggies by seed this year. We took a little road trip on Thursday and visited Antique Archaeology. Anyone else watch American Pickers as much as my husband? On our road trip we followed the Mississippi River. At the southern end of our trip, the river was not covered in ice. A lovely site to see. Temperatures are supposed to be above freezing this weekend. I could not be more excited! Sounds like a nice road trip. Stay warm! Happy Friday! I used to like watching the Pickers until they got too famous. Neat photo of their car! Thanks for sharing Kris. Much appreciated and happy weekend to you! I need to start watching American Idol again now that they're working towards their final top 12, I definitely like the judges! I hope you have a great weekend my friend! It is forecast to get above 0 this weekend here too! Sounds like a fun road trip. 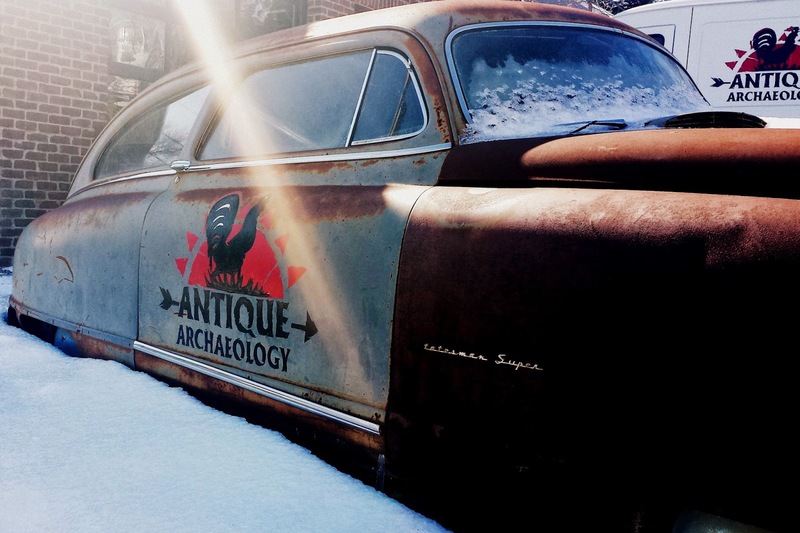 oh i love american pickers and recognized the car/logo right away! I use to watch AI years ago when Simon, Paula and Randy were there. When they started switching things around I quit watching. I still watch DWTS though. Wow you visited Antique Archeology, we watch American Pickers all the time (and Pawn Stars). So good to hear your weather is starting to warm up. I think everyone is ready for Spring by now. Yes, we my husband and I, watch AP too, one of our fav shows! Thanks for visiting and commenting! Yes, we watch American Pickers: they were in our area a couple of months ago. I've noticed one common thread in all the R5F lists this week: we're all ready for warmer temps and sunshine! I LOVE THAT WHEELBARREL GARDEN !!!! Oh my goodness - so cheery and fun! Might have to be my next garden project with the girls - thanks for sharing!! !